It is a non-surgical therapy that is used to relieve back pain and other problems related to spinal disc injuries. Compressed discs in your spine can happen because of poor posture, bad body mechanics, acute injury, etc., which can also lead to pinched nerves, bulging discs, and much more. To treat compressed discs many people often use surgery or chiropractic adjustments. Spinal Decompression Therapy is an alternative FDA-approved treatment that has amazing results. 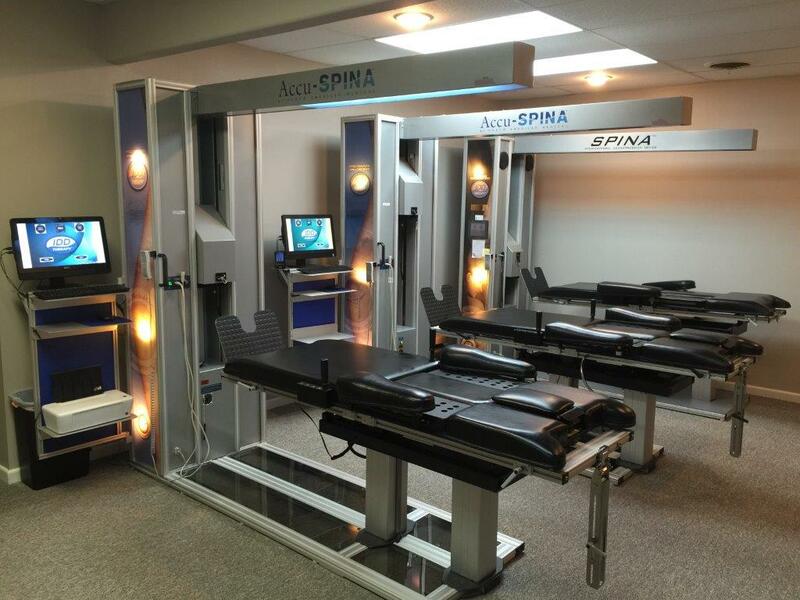 Spinal Decompression Therapy uses gentle decompression on the disc using a decompression table which moves to apply a distraction force to the targeted area of the spine. A computer is in control of the distraction force and during the therapy your spine is gently pulled apart to create a small vacuum or pumping mechanism between the vertebrae, which allows room for the bulging disc to go back to its normal position. If you want to learn more about this therapy and think it would benefit your bulging discs, degenerative discs, degenerative disc disease, pinched nerves, sciatica, etc., please call us!